Abstract: Contactless ultrasonic power transfer (UPT) is a new technology that eliminates impracticalities associated with wired electrical connections. In biomedical implants (e.g. cardiac pace makers and wireless networks of sensors such as artificial retina and cancer detectors), the UPT concepts are the biocompatible methods which are effective at larger distances and offer frequency-wise flexibility. This technology, which is based on the reception of acoustic waves at ultrasonic frequencies by piezoelectric receivers, can be used to wirelessly charge low to high-power electronics. In this talk, we present an overview of the dynamics of UPT. We investigate the use of acoustic holograms to create various multifocal pressure patterns and selectively power an array of piezoelectric receivers. Further technical approach based on the combination of nonlinear acoustic field with transmitter and receiver electroelastic nonlinearities, verified with controlled experiments, will be studied to explore and understand the effects of various parameters on the coupled system for performance enhancement of UPT. We also perform a system-level investigation of through-wall highpower UPT dynamics to lay the foundation for its implementation in next-generation acoustic based wireless devices including enclosed electronic devices operating in armor or other environments, such as autonomous unmanned aerial and underwater vehicles. State-of-the-art experiments and mathematical models of UPT focus on the transmitter, receiver, medium, geometric and material parameters. Bio: Shima Shahab is an Assistant Professor in the Department of Biomedical Engineering and Mechanics at Virginia Tech. She completed her Ph.D. and M.S. in Mechanical Engineering at Georgia Institute of Technology. 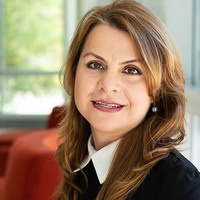 Dr. Shahab is the Director of Multiphysics Intelligent and Dynamical Systems (MInDS) laboratory and Associate Director of NSF I/UCRC Center for Energy Harvesting Materials and Systems (CEHMS). Her theoretical and experimental research program focuses on the intersection of smart materials and dynamical systems for various interdisciplinary applications such as contactless acoustic energy transfer, microfluidics driven via ultrasonic, ultrasound responsive drug delivery systems, and piezoelectric actuation. Dr. Shahab has served as Principal Investigator on research grants from National Science Foundation, Alpha Foundation and Oakridge National Laboratory.